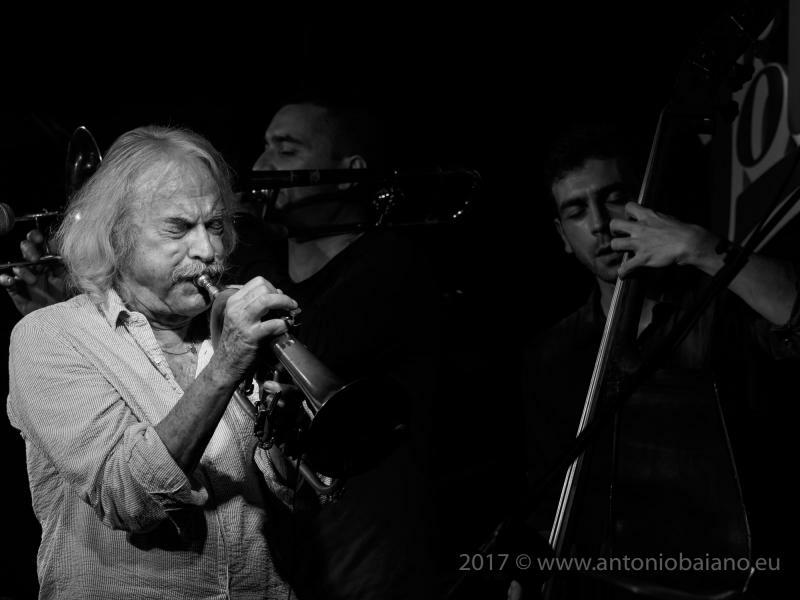 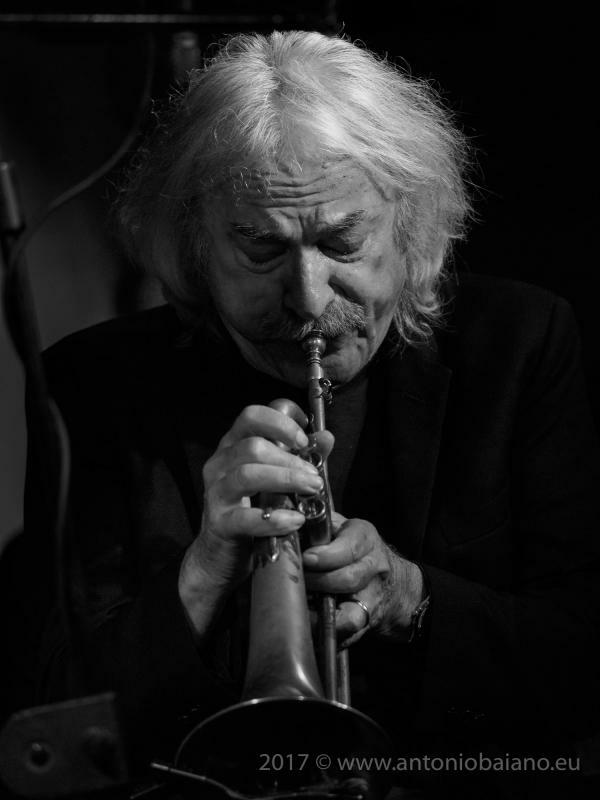 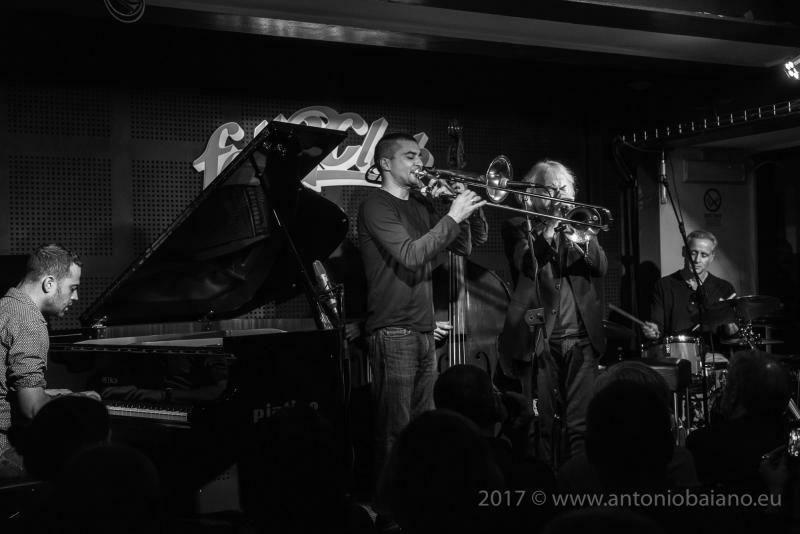 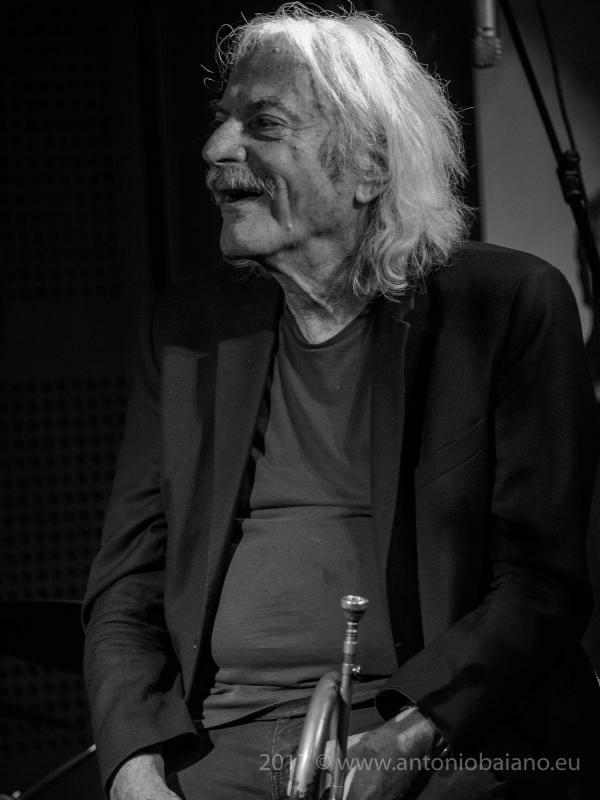 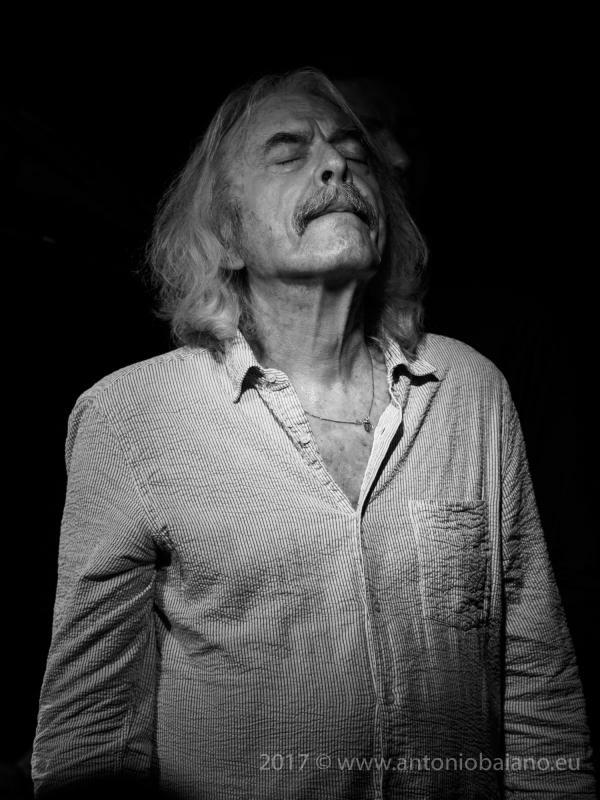 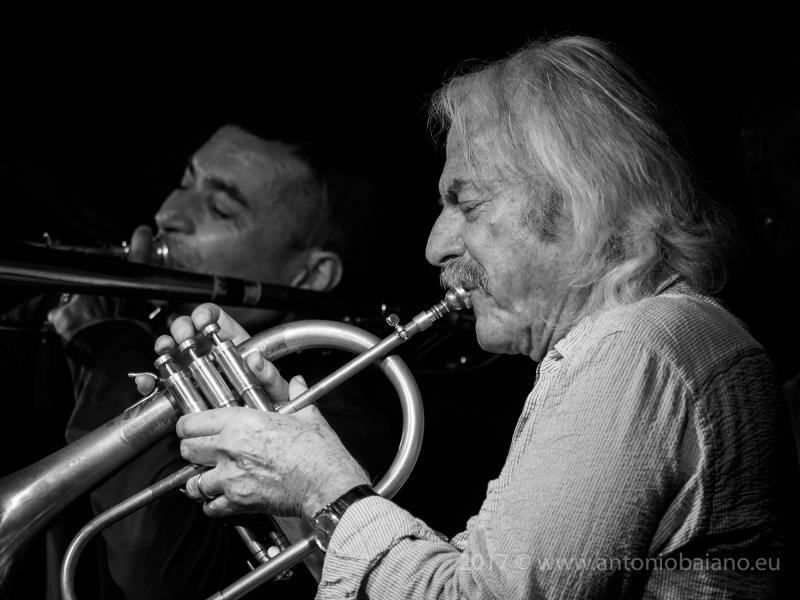 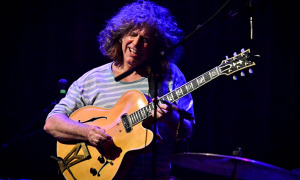 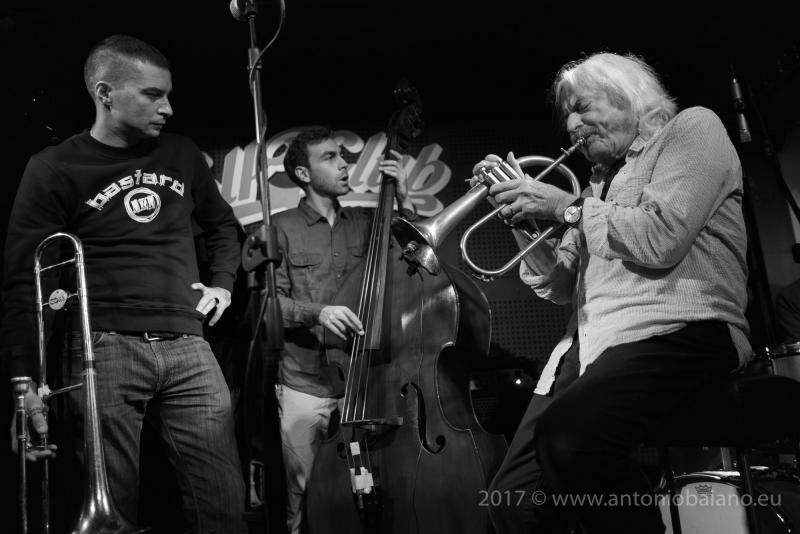 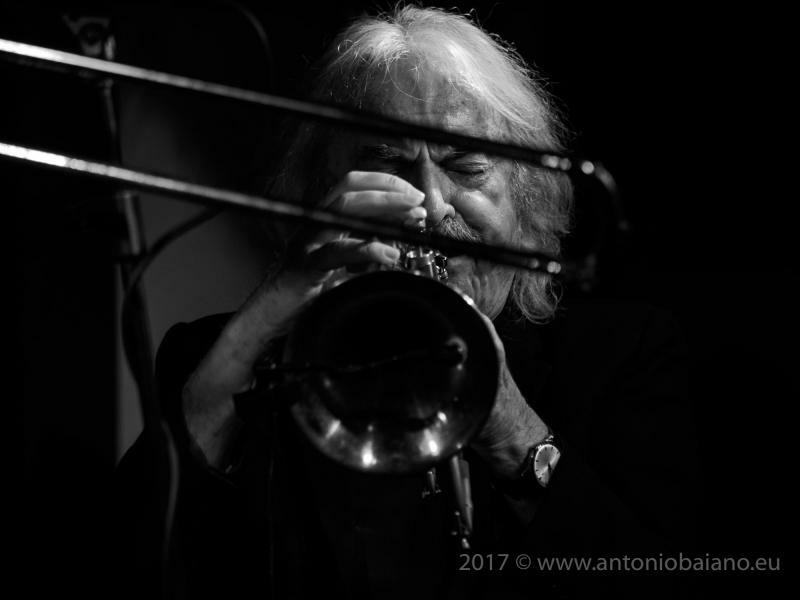 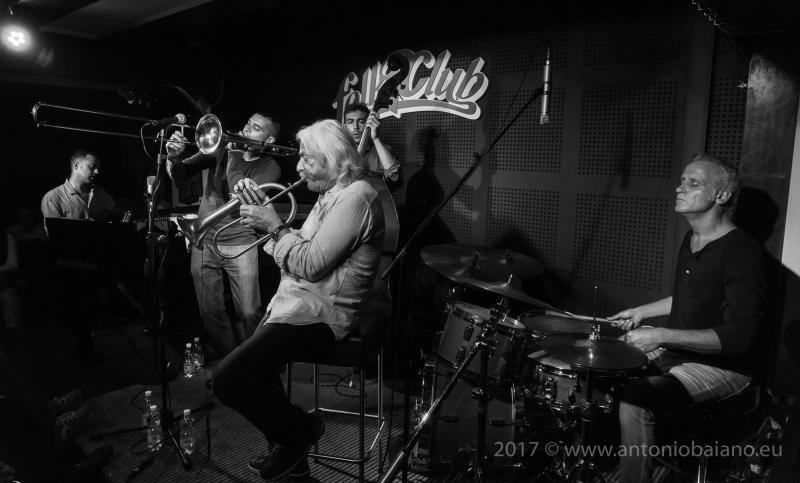 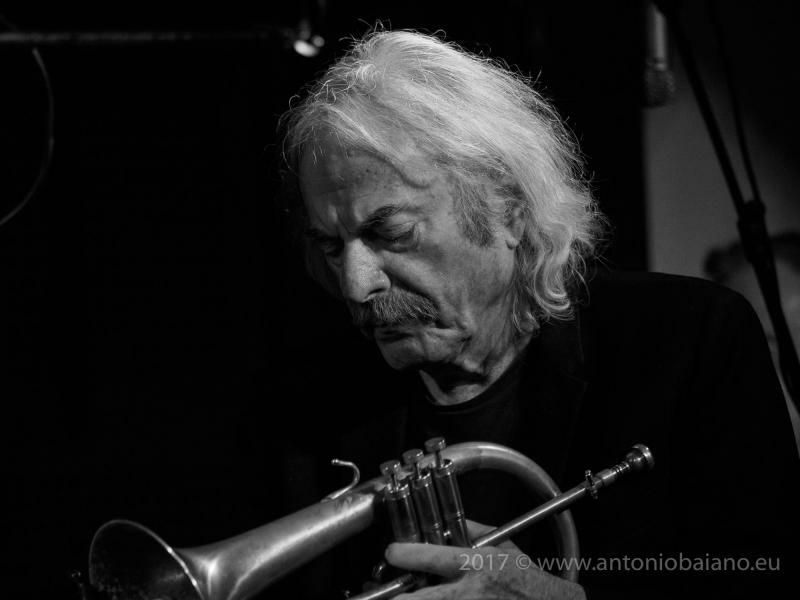 Enrico Rava performed with his Tribe Quintet on the stage of the Folkclub in Turin, Italy, on a Saturday of a still warm October. 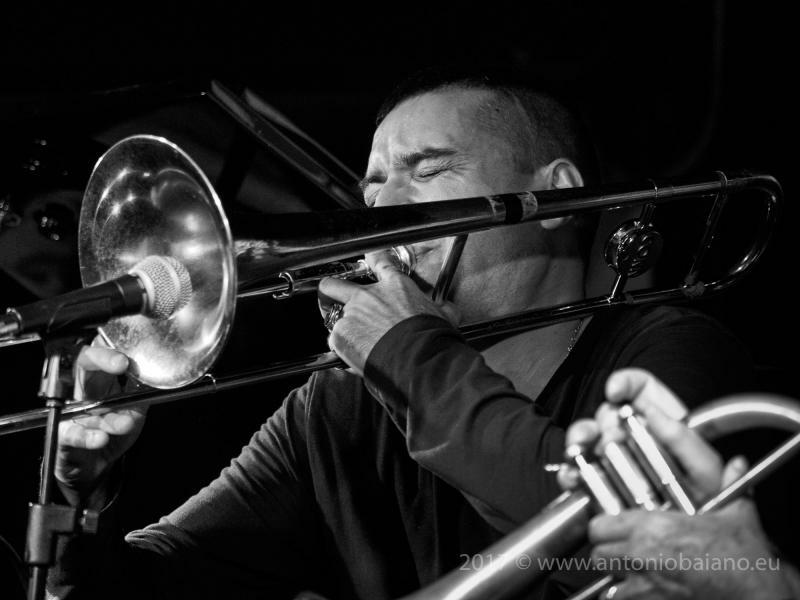 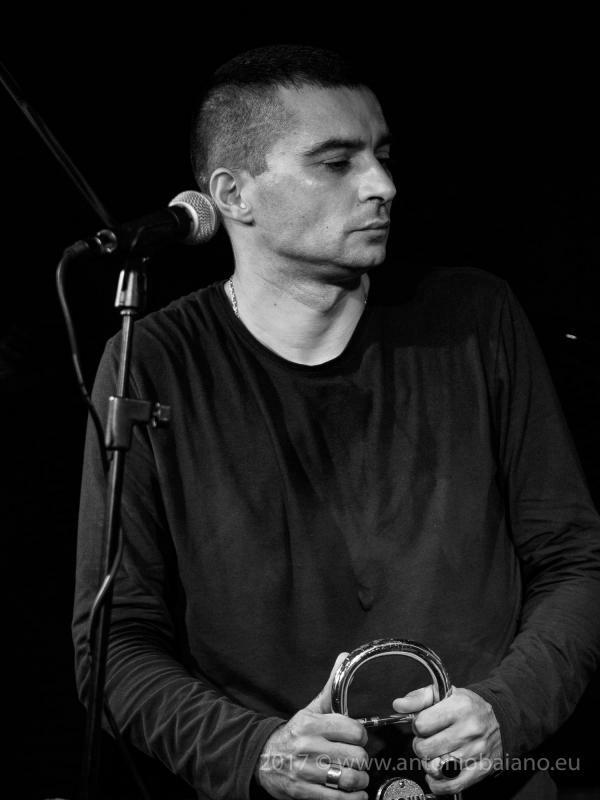 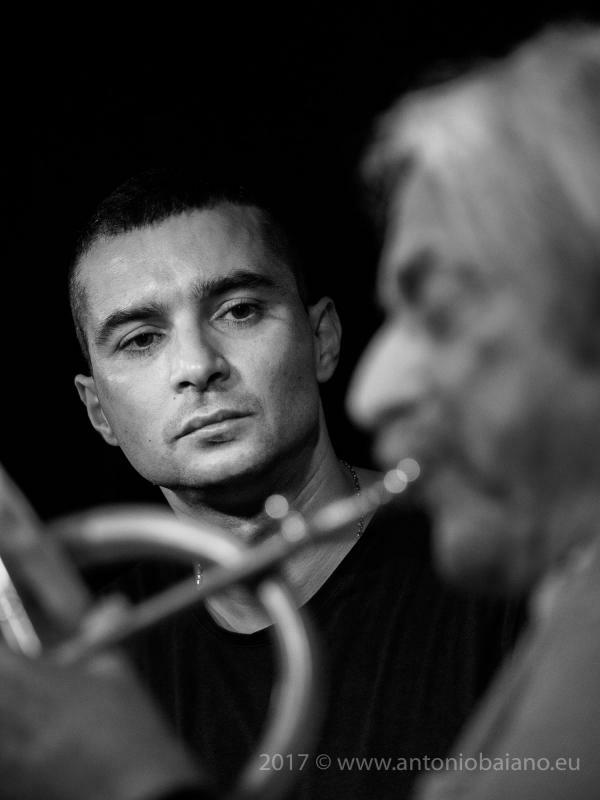 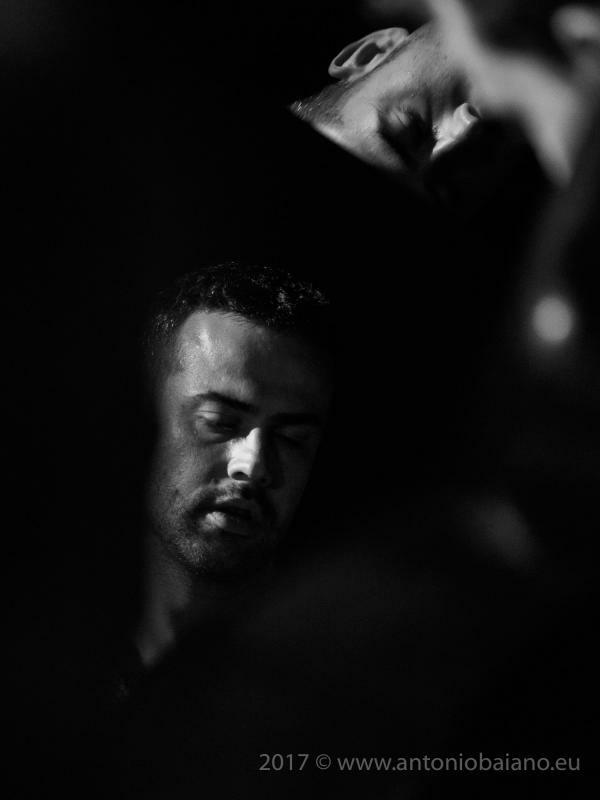 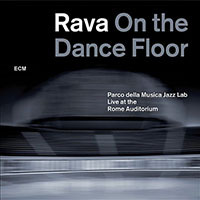 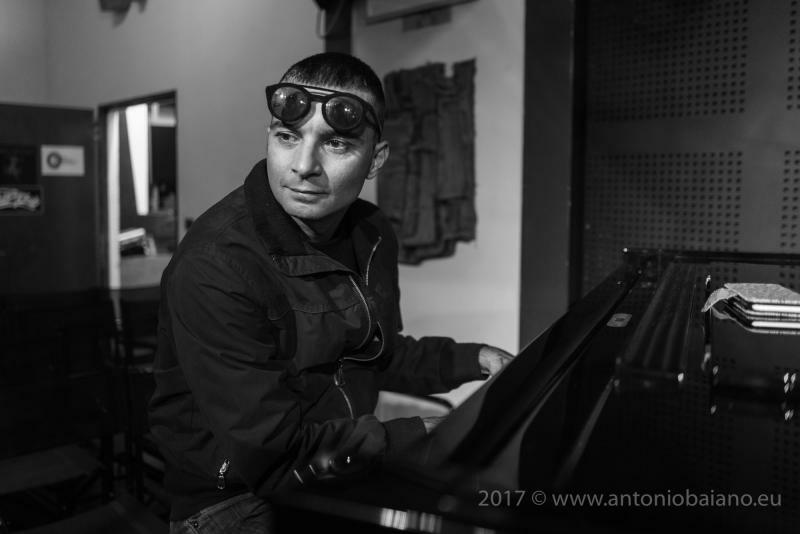 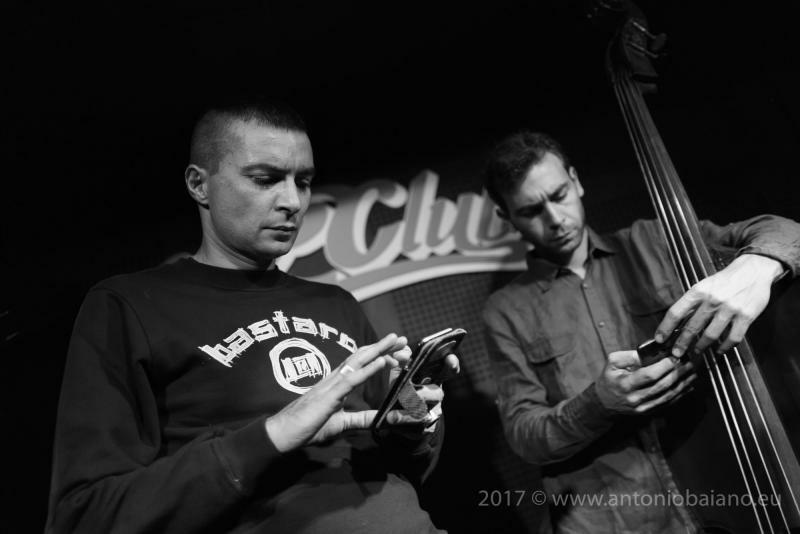 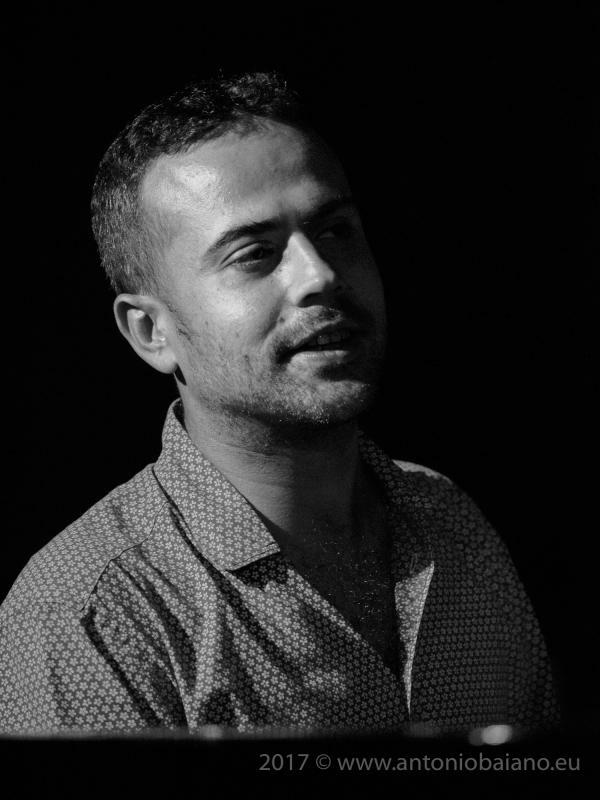 In the intimate atmosphere of the venue, Rava offered an extraordinary performance with his band mates. 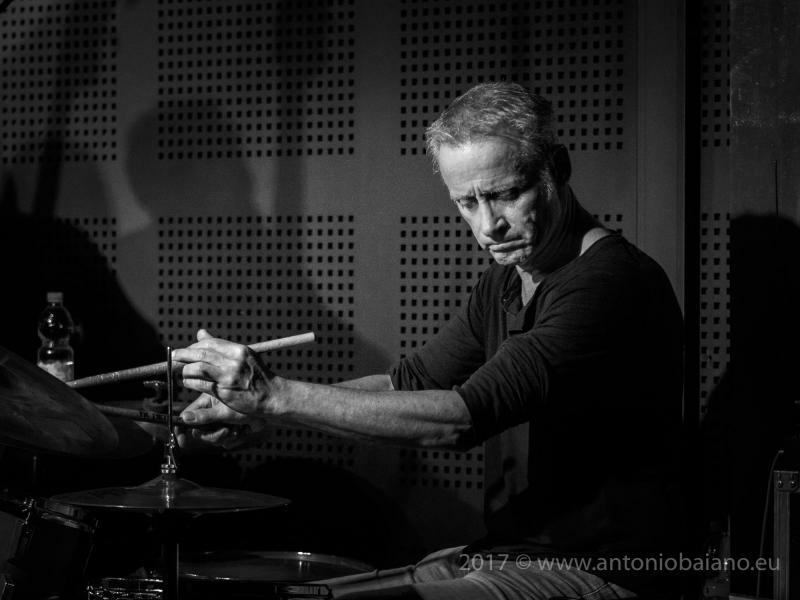 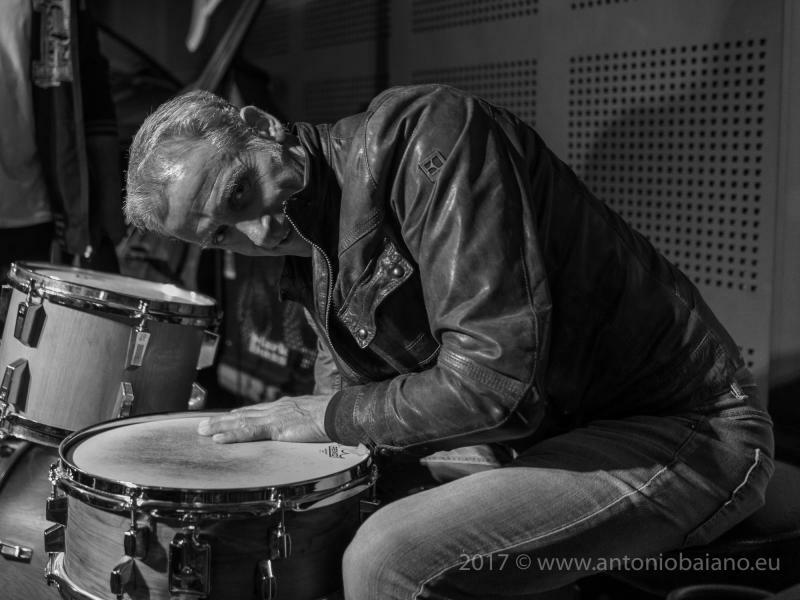 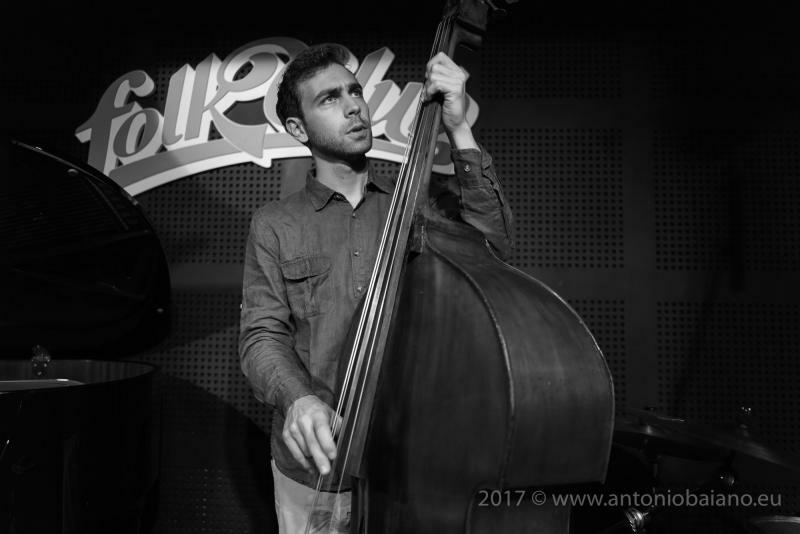 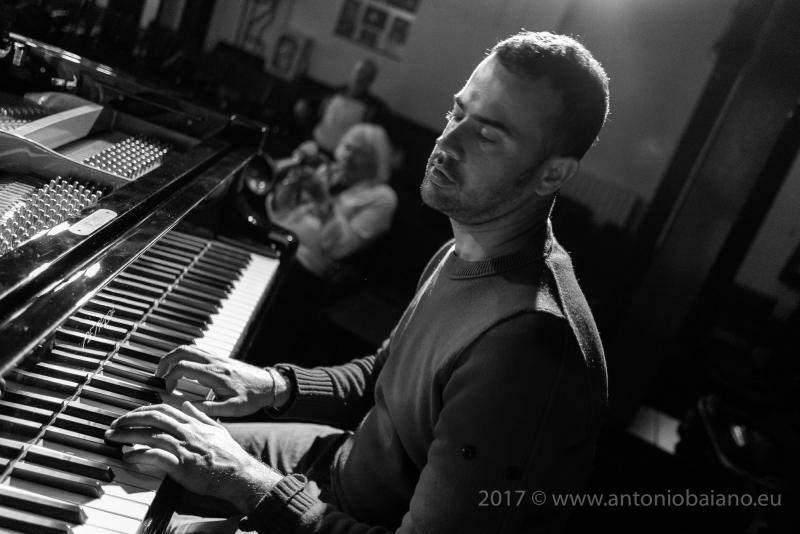 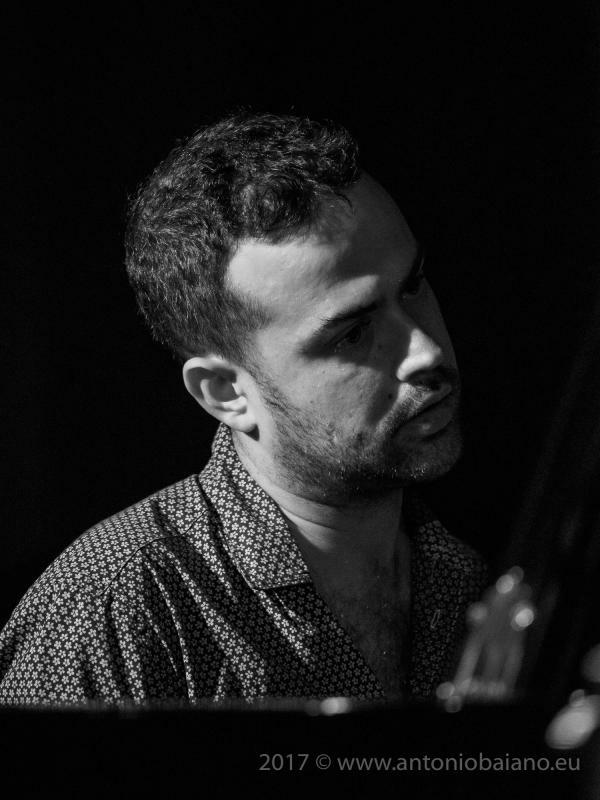 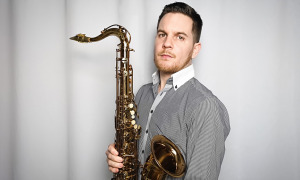 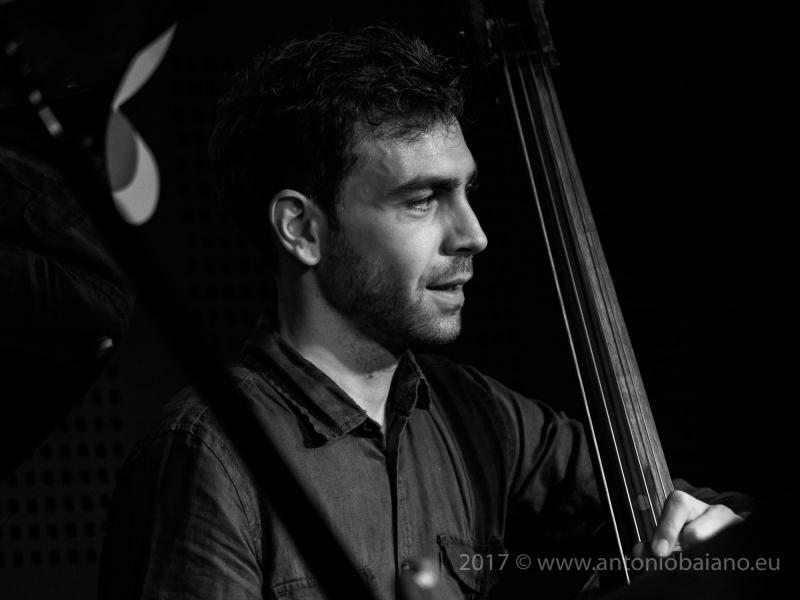 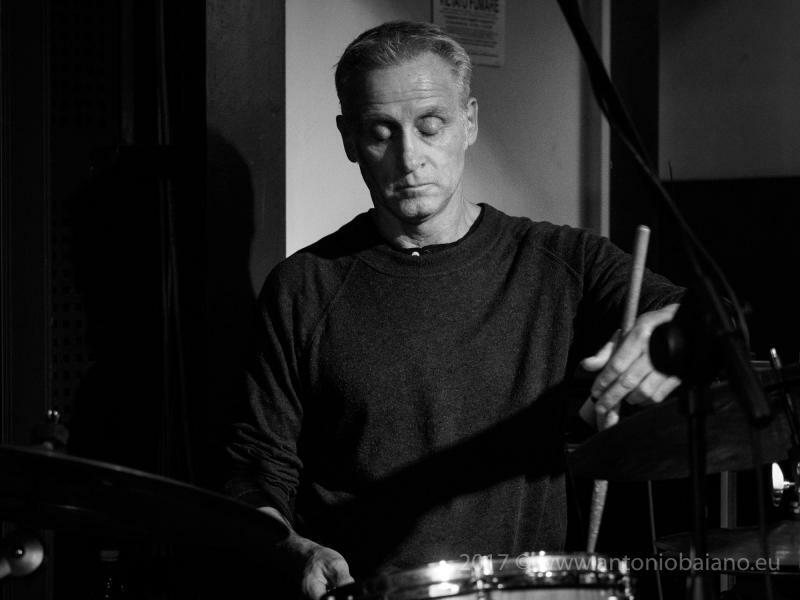 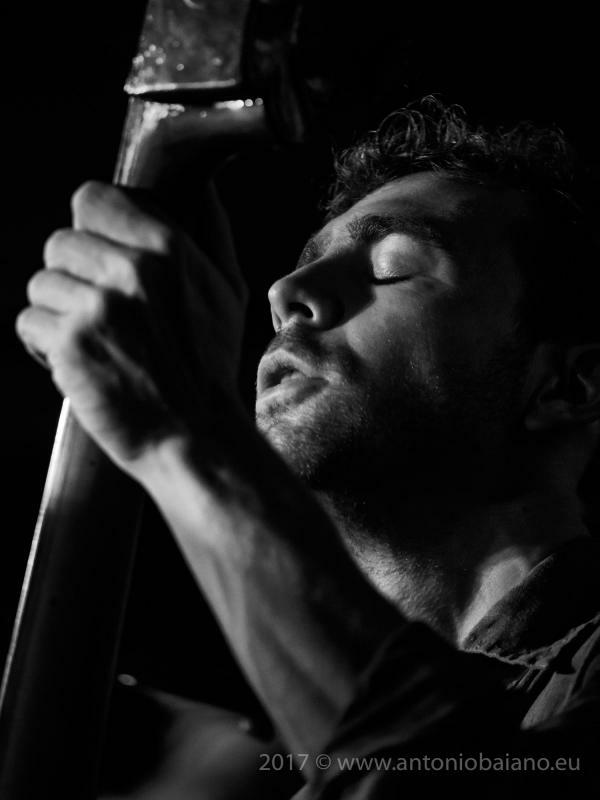 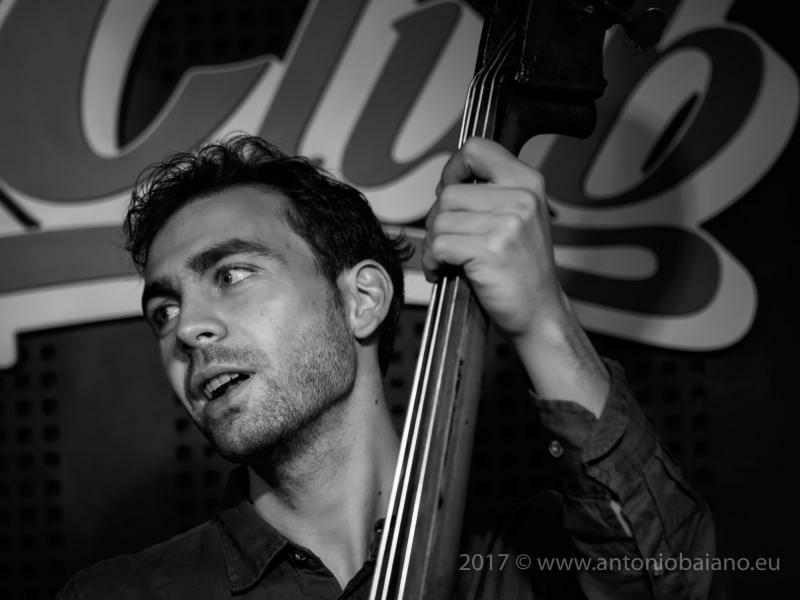 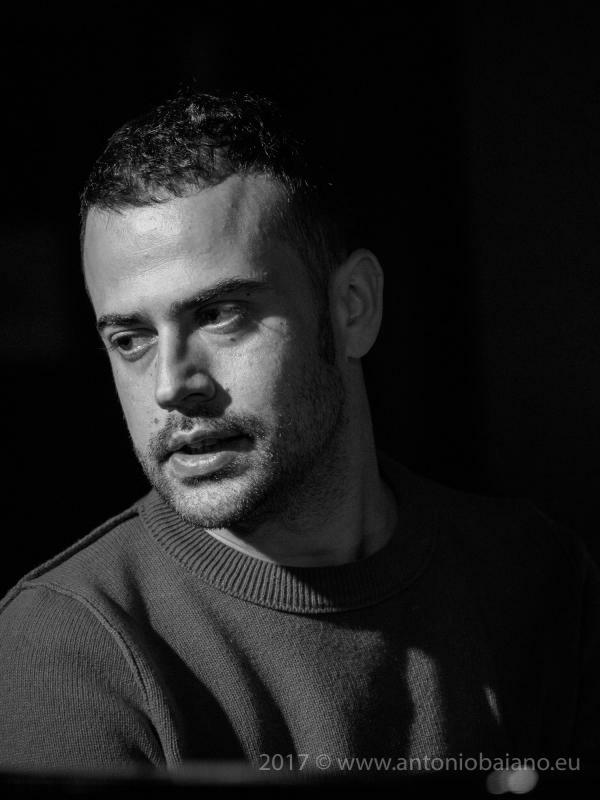 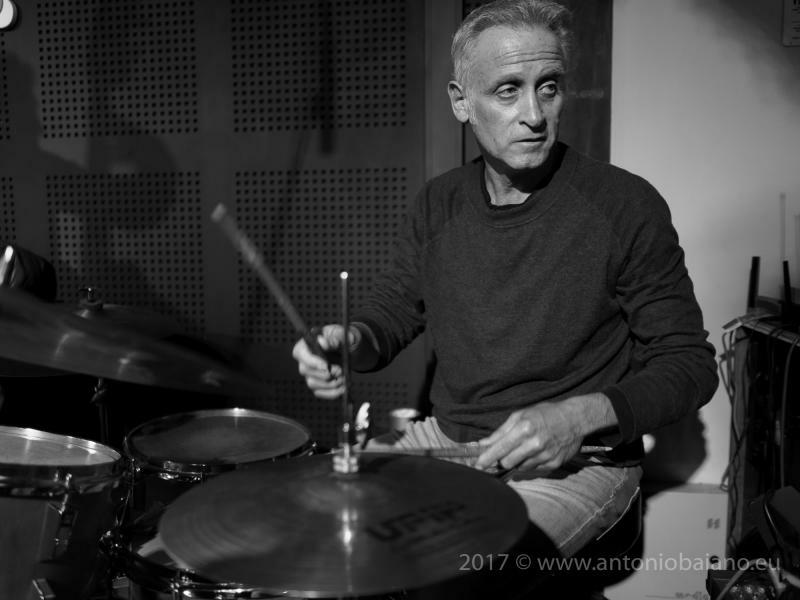 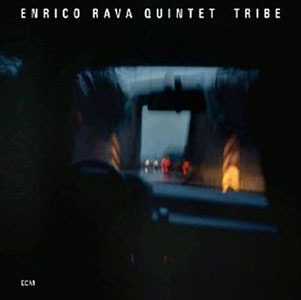 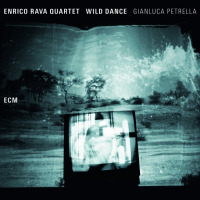 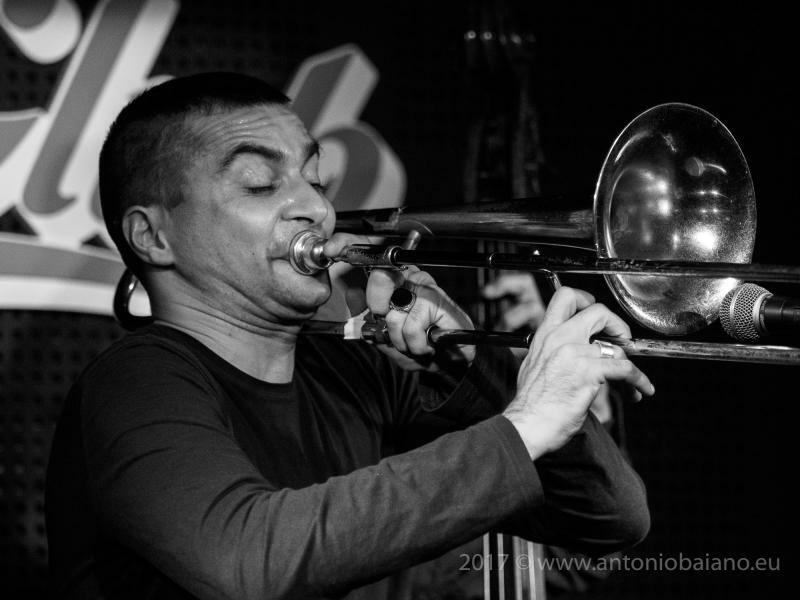 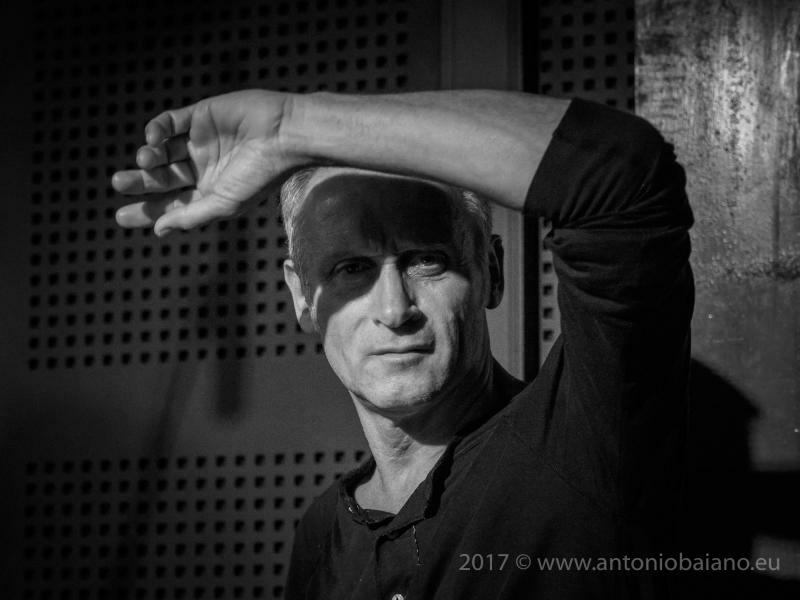 His quintet features some of the best Italian musicians including Gianluca Petrella, Giovanni Guidi, Francesco Ponticelli, and Fabrizio Sferra a veteran drummer who has accompanied greats like Enrico Pieranunzi, Chet Baker, and Mal Waldron. 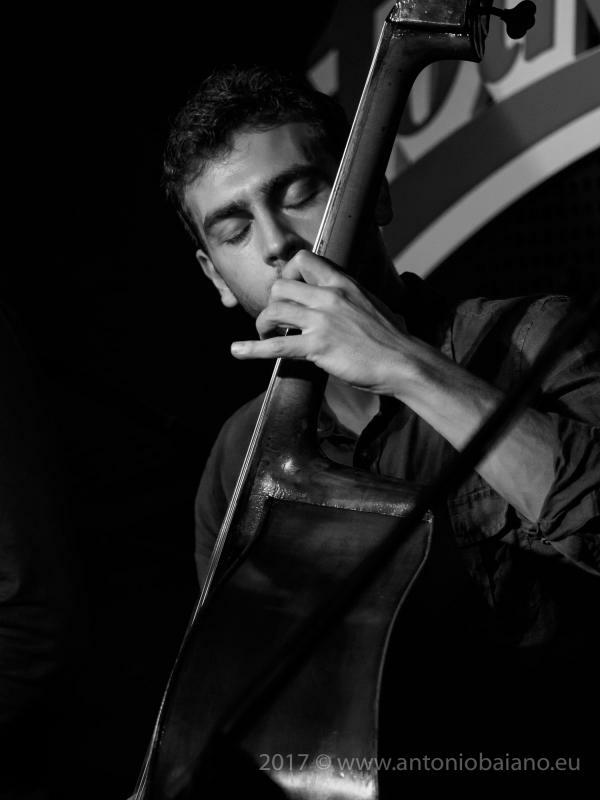 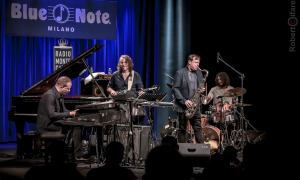 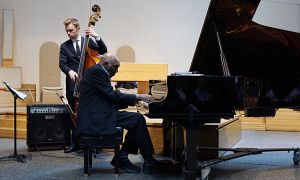 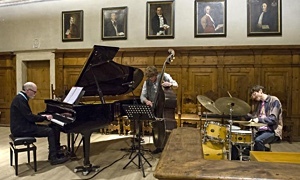 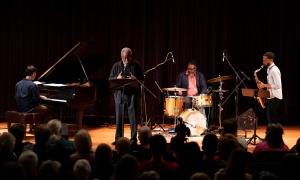 The quintet performed original compositions for two plus hours and closed the concert with a rendition of the classical Cuban tune "Quizas, Quizas, Quizas."